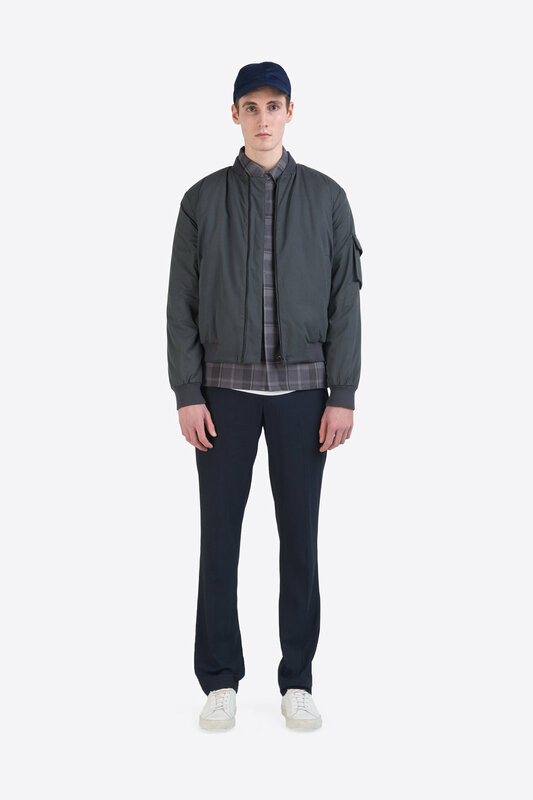 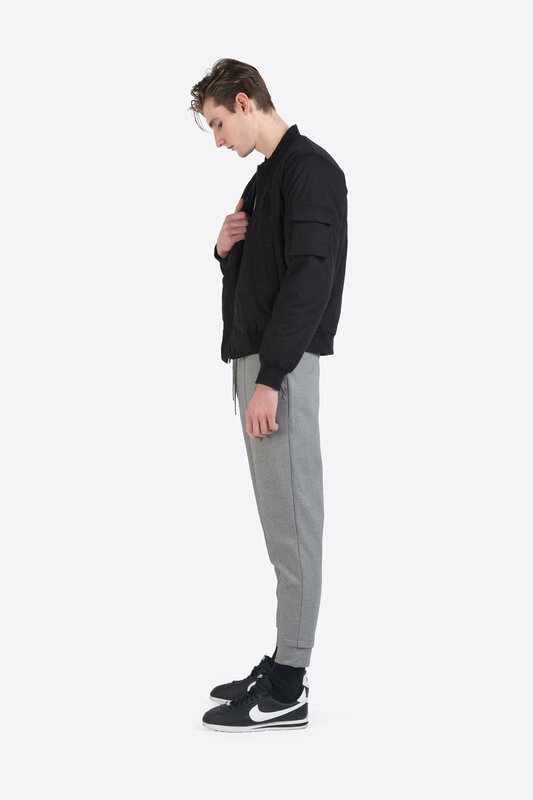 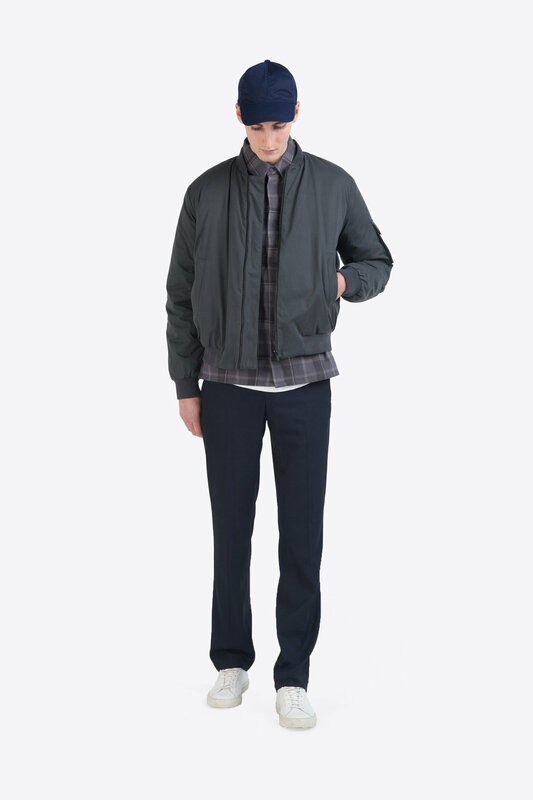 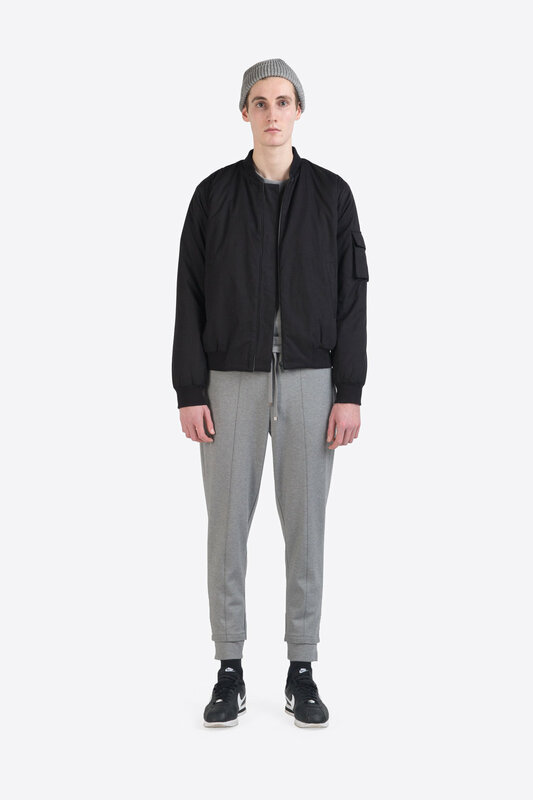 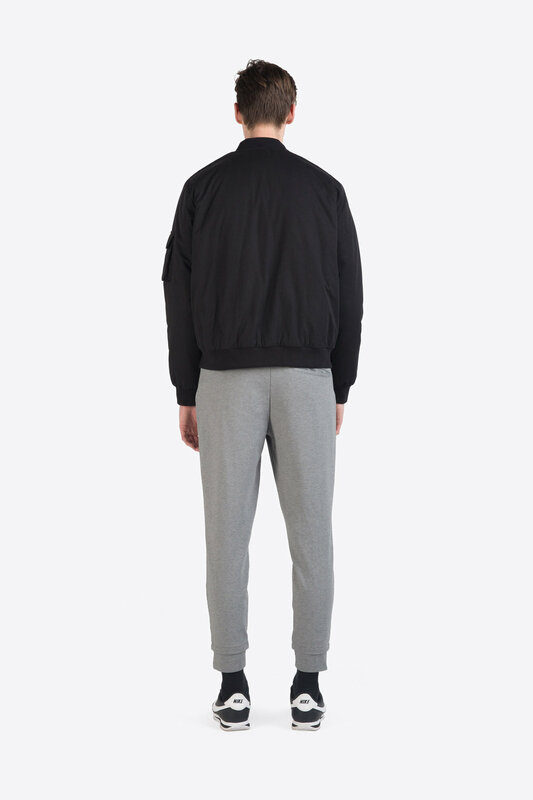 This classic bomber jacket is fully lined to keep you exceptionally throughout the season. 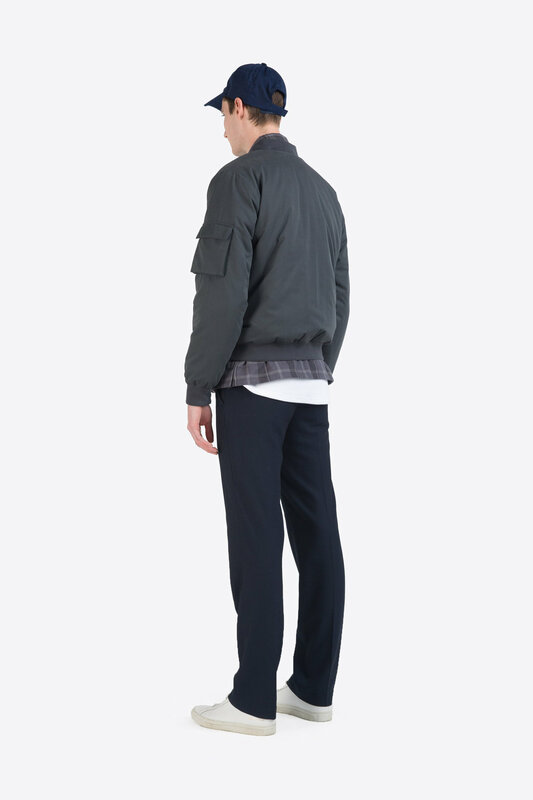 Soft to touch, it features sleek front pockets, front zip closure, ribbed cuffs, and a flap pocket on the sleeve for extra detail. 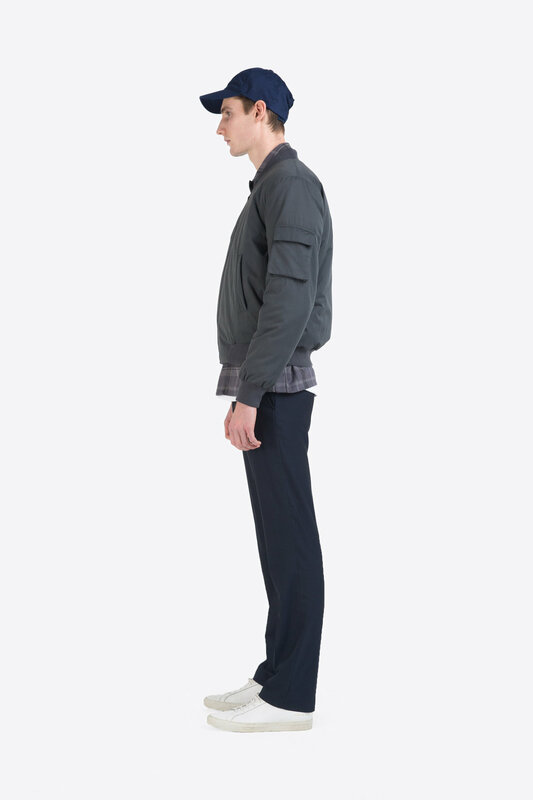 Pair with fresh white sneakers for a casual, minimal look.